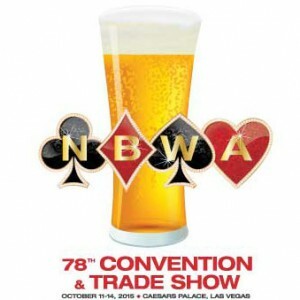 LAS VEGAS, NV – The National Beer Wholesalers Association (NBWA) kicked off the first full day of its 78th Annual Convention and Trade Show today at Caesars Palace in Las Vegas, Nevada. Purser pointed to the successes of the open and independent distribution system, citing that, in the 1980s, there were fewer than 50 breweries operating in the United States. 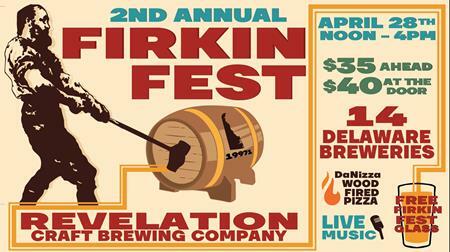 And, there are now 4,000 breweries in operation across the country. Despite the success of the current system, Purser observed that there are still some who are choosing to challenge or change it. He also noted some of the recent environmental changes in the industry, including brewers and importers operating under new leadership, the incredible amount of new capital flowing into craft beer and big acquisitions. He also said that three-tier exemptions designed to help new brewers get established should not be expanded to give larger brewers additional advantage in the marketplace. Vice President of Atlas Sales, Inc. Bud Dunn moderated a “Four Under 40” panel discussion including Jay Ducote, Food Network Star finalist and founder of Bite and Booze; Daniel “D.H.” Harrison, co-owner and general manager of Country Boy Brewing; Ryan Lake, vice president at First Beverage Group; and Kurt Strickmaker, president and “Better Beer Guy” at BountyBev. As a new generation comes into management and leadership positions, the panel of next generation leaders shared their views on what’s happening in the beer industry today – from millennials’ interest in variety to technology’s impact on marketing – and their predictions for the future. Strickmaker highlighted how independent distributors ensure beer’s quality and freshness. Harrison added, “It’s paramount for us to keep the three-tier system how it is – it’s helped us grow.” He explained that independent distributors get Country Boy Brewing’s product to market – on taps and on shelves. Lake described investors’ interest in the craft beer industry and their appreciation for the three-tier system’s role in its continued growth. The general session concluded with a presentation by Captain Chesley B. “Sully” Sullenberger who is known for the “Miracle on the Hudson” on January 15, 2009. US Airways flight 1549 had just taken off from LaGuardia Airport with 155 people on board when a flock of Canada geese flew into both engines, leaving the plane without power. Descending at a rate of two floors per second, Capt. Sullenberger made an instantaneous yet calculated decision to land in the Hudson River, incredibly missing buildings and bridges, and miraculously saving every life on the plane and on the ground. Capt. Sullenberger shared his inspirational story from that day and discussed the value of planning, leadership and focus to help prepare for disruptions of any kind – whether in business or in personal life. Following the general session program, the Trade Show opened featuring products and services from 289 exhibitors, including 84 breweries highlighting more than 500 labels of beer, as well as non-alcoholic beverages, warehousing technology, financial services software, promotional products and more. NBWA’s 78th Annual Convention and Trade Show continues Tuesday, October 13, at Caesars Palace. 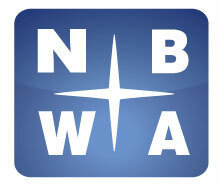 To view NBWA-TV reports from the convention, please visit NBWA’s YouTube channel at www.youtube.com/NBWABeer. Follow the conversation on Twitter using #NBWAVegas, and download the convention mobile app. The National Beer Wholesalers Association (NBWA) represents the interests of America’s 3,300 licensed, independent beer distributor operations in every state, congressional district and media market across the country. Beer distributors are committed to ensuring alcohol is provided safely and responsibly to consumers of legal drinking age through the three-tier, state-based system of alcohol regulation and distribution. To learn more about America’s beer distributors, visit www.AmericasBeerDistributors.com. For additional updates from NBWA, follow @NBWABeer on Twitter, watch NBWA videos on www.youtube.com/NBWABeer and visit https://www.facebook.com/pages/NBWABeer.